Happy Friday! Today’s featured flowers are beautiful white hydrangeas given to me by my Mr. P. I have a hydrangea thing (as everyone knows by now), and this beautiful arrangement just makes me smile. Mr. P. didn’t arrange these all by himself—he had a little help from Boxwoods in Atlanta. Thank you for skipping the check-out line at the grocery store this week, sweetie. I love my Friday Flowers! We all need a thoughtful an generous Mr. P to brighten our home! Very beautiful arrangement (as always) from Boxwoods! Mr. P is indeed considerate! Soooo pretty Lissy! Hooray for Mr. P!! Have you ever tried any of the vintage hydrangeas? I am so tempted to try them outside!! Cindy, I have planted several of these outside and they did great. I love the whites and rosy pinks and blues. I also have used a variety named ‘Pinky Winky.’ It is the most wonderful cream with a tinge of dark pink. 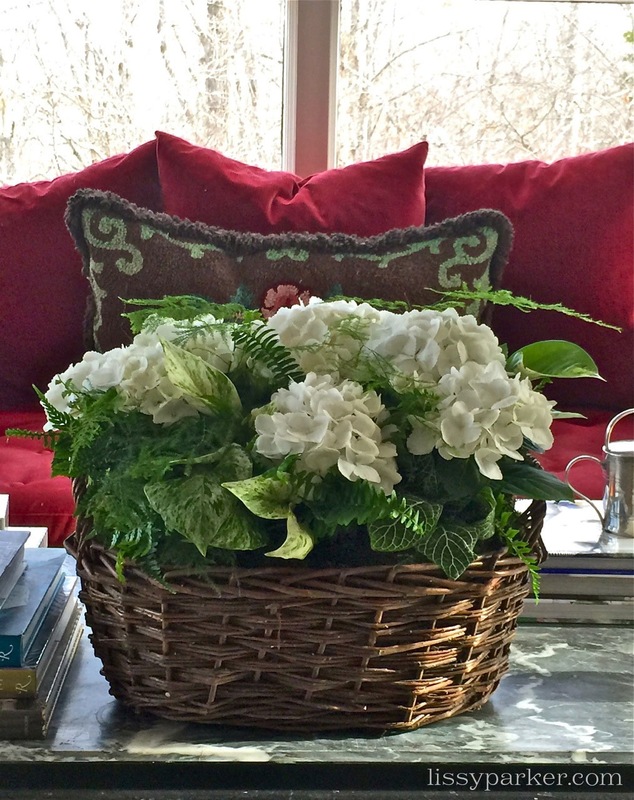 What a beautiful arrangement and white hydrangeas are a favorite! Brownie points for Mr. P! Thank you so very much! I love these white beauties. Hundreds of varieties for the landscape!